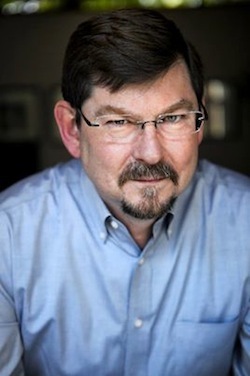 Steve Johnson is an author, speaker, and advisor on product strategy and product management. His approach is based on the belief that minimal process and simple templates result in a nimble product marketing and management team. Steve has been working within the high-technology arena since 1981 with experience in technical, sales, and marketing management positions at companies specializing in enterprise and desktop hardware and software. His market and technical savvy allowed him to rise rapidly through the ranks from Product Manager to Chief Marketing Officer. In his various technical marketing roles, he has launched dozens of product offerings. Steve draws heavily on his marketing and sales experience in both direct and multi-tier distribution, while his quick wit adds an element of fun to his workshops and speeches. Steve has personally trained thousands of product managers and hundreds of company senior executive teams. Steve is VP of Products at Pragmatic Institute. Previously he provided implementation assistance to product teams with Under 10 Consulting after 15 years as a Pragmatic Marketing instructor. Steve has authored many articles and ebooks on technology product marketing and management. 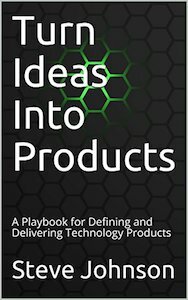 Check out Steve’s book Turn Ideas Into Products or read one of his free ebooks. Steve is a popular keynote speaker at forums throughout North America, delivering highly relevant sessions for a technology-oriented audience. He focuses on the strategic role of product management and the importance of looking beyond the product to the entire customer experience. Check out some speeches from Business of Software. Steve serves as an advisor to Product Growth Leaders, a consortium of consultants and coaches focused on product management best practices.